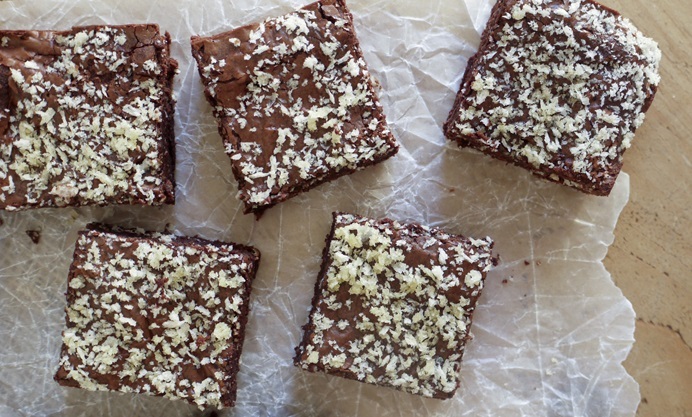 These luscious chocolate brownies are topped with a crispy sea-salted Panko crumb, enriched with olive oil for an unusual twist on a classic. Serve this tray bake as a snack of dessert, the choice is yours. 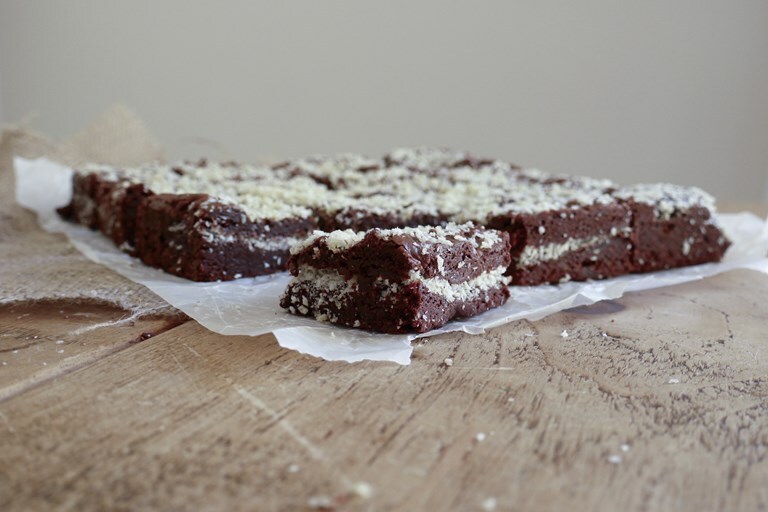 Dark chocolate, fruity olive and flaky sea salt are a delicious combination of flavours which, when combined, make for a rich and sophisticated brownie. Japanese Panko breadcrumbs aren’t something you’d traditionally find in dessert, but here they add a satisfying feather light crunch in contrast to the fudgy texture of each bite. Serve in small squares with coffee or accompanied by a scoop of ice cream for a delightful finish to any meal.